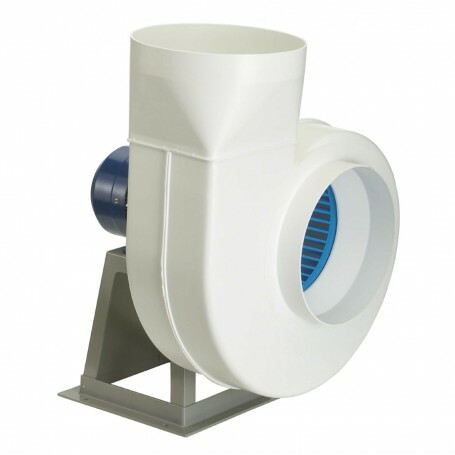 Range of single inlet direct drive centrifugal fans manufactured from tough injection moulded polypropylene plastic, motor support and designed for extraction of corrosive fumes. All the fans are provided with forward curved centrifugal impellers manufactured from injection moulded polypropylene plastic. 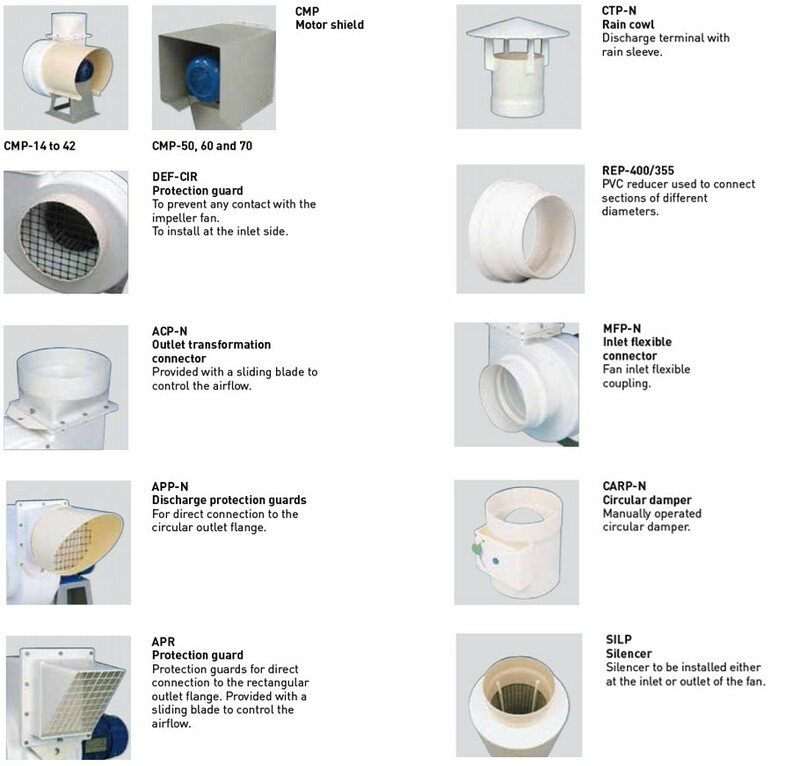 Available, depending upon the model, with single or three phase motors in 2, 4, 6 or 8 poles. 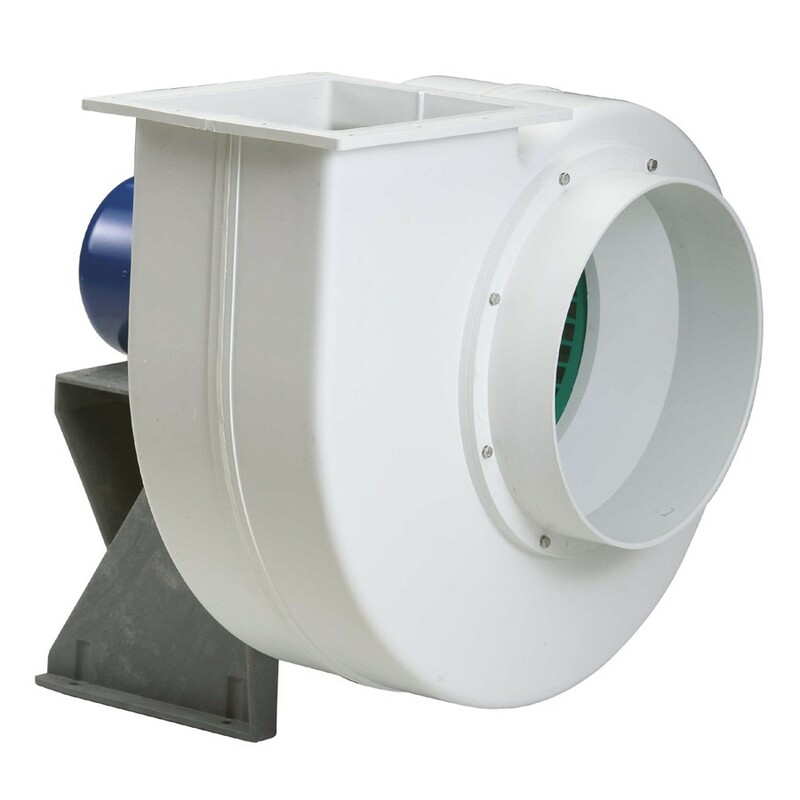 All motors are IP55, class F insulation. Single phase 230V-50Hz up to 1,1 kW. 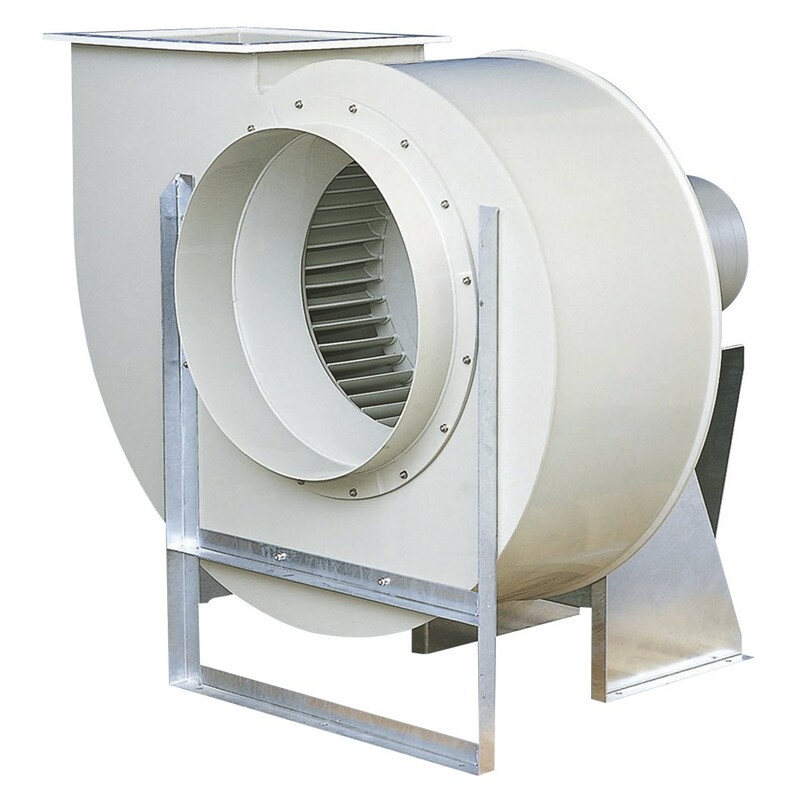 Three-phase motor fans speed controlable by inverter (See characteristics chart). Standard supplied position: LG 0. The scroll can be orientated in 8 different positions. Screws in stainless steel. Fan supplied in RD positions. (Except models 14, 20A and 30A). Scroll fitted with a permanent drain to evacuate condensation water. 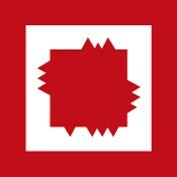 ATEX version (see CMPT ATEX series).